When it comes to pure lyricism, as honest and transparent as can be, few artists are anywhere near the level of a New York-based act by the name of navy blue right now. His style is best characterized by its tragically beautiful emotional awareness, and only adding fuel to the fire, it’s the dusty, off-kilter production that brings this soulful feel full circle. That said, navy blue is here on the Lyrical Lemonade pages today to bless us with his new, 8-track project, gangway for navy. Featuring just two features from close accomplice, MIKE, who we’ve covered several times here on LL, this tape allows navy blue to trudge head-first into the problems and thoughts that he faces without ever stopping for a breath of air. 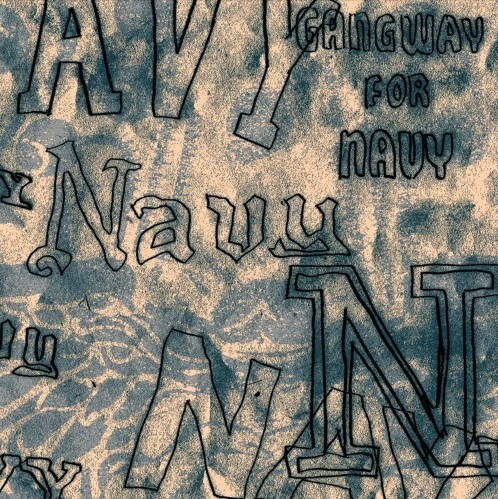 In this way, gangway for navy is as cohesive and well-executed as can be, balancing on a line of avant-garde beauty that you certainly can’t help but pay attention to. Blue’s soul oozes through the passion-stricken instrumentals, one after another, and the resulting yield is a project that clearly indicates why he’s one of New York’s finest artists out right now. Stream the new project at the link provided below and let us know what you think in the comments!